Flip a coin. If heads, the spaghetti power will let mario deal 10 damage! 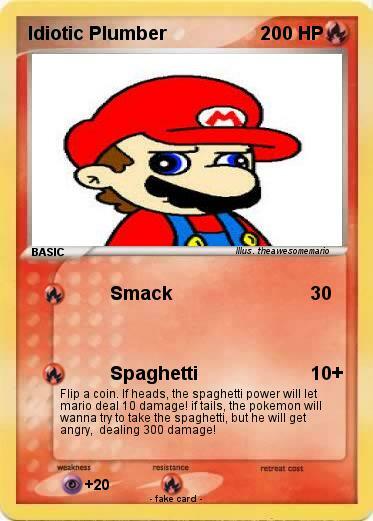 if tails, the pokemon will wanna try to take the spaghetti, but he will get angry, dealing 300 damage!